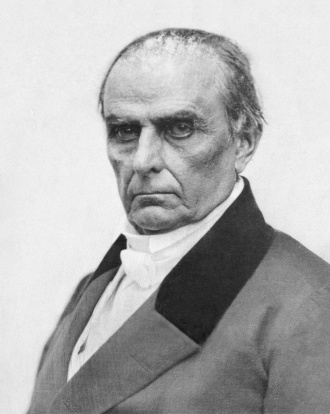 Daniel Webster one of the signers of the Webster–Ashburton Treaty. The Webster–Ashburton Treaty is a decision the United Kingdom can enact. It transfers control of Caribou, an American core in Maine, to the United States of America. In return, the UK receives +21 prestige, −2 infamy, and +100 relationship with the US. To enact the decision, the UK must be at peace with the United States; the AI will always do so unless it has less than 0.2 infamy. The decision is available from the start of the game. Caribou will be ceded to USA even if New England exists. Following the events of the (undeclared) Aroostook War, The Webster-Ashburton Treaty of 1842, between the United Kingdom and The United States of America, delimited with finality the borders between Maine and New Brunswick, regulated the shared use of the Great Lakes, reaffirmed the 49th parallel border and called for a mutual commitment toward ending the Atlantic slave trade. This page was last edited on 29 June 2018, at 11:29.